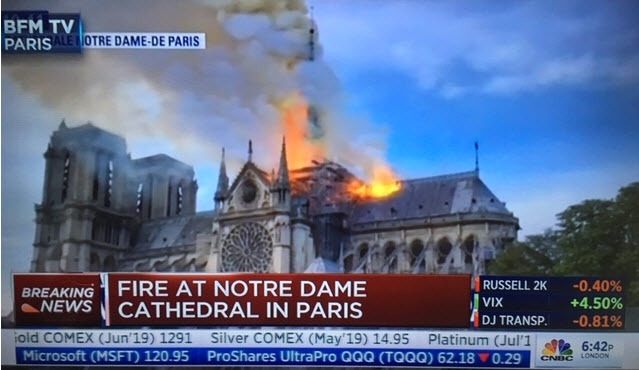 Notre Dame Cathedral in Paris is on fire. The images are showing large plumes of smoke and flames around scaffolding on the roof. PM Macron has canceled a schedule speaking engagement and is heading to the scene. Pres. Trump has tweeted "So horrible to watch the massive fire at Notre Dame Catherdral in Paris"
The midievil cathedral was begun in 1160 and took to 1260 to largely complete. The cathedral is visited by 12 million people annually making it the most visited monument in Paris. If was going through major restorations which may have been responsible for the fire. 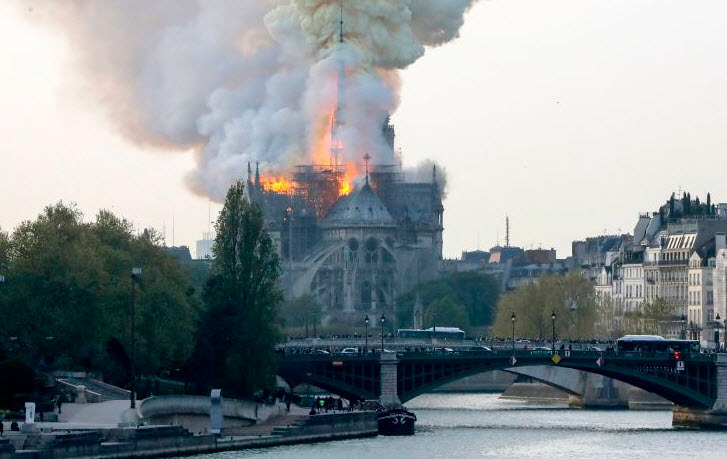 The spire of the cathedral is totally engulfed (some reports are saying it has fallen) in flames as are large sections of the roof structure. This week is Holy Week with Good Friday, and Easter on Sunday.